Psalm 74:29 reveals: “Have respect unto the covenant: for the dark places of the earth are full of the habitations of cruelty”. CRUELTY also means GREAT WICKEDNESS, RANGE AND ANGER! Habitations of cruelty are the factories of satanic wickedness! It is the territory of anti-glory powers! But they shall miss your address in this fasting program and indeed this year because your glory is not negotiable! THEY CANNOT TURN YOUR GLORY TO GROANING because POWER pass POWER! Someone has said: “The entire world is in a measured dark, and hence everywhere there are cruel enemies of the Lord’s people; but in some places a sevenfold night of superstition and unbelief has settled down, and their rage against the saints reaches to madness”. Little wonder, more than forty men vowed, “OVER THEIR DEAD BODIES”, not to eat or drink till Paul was dead. Hear this: “But do not thou yield unto them: for there lie in wait for him of them more than forty men, which have bound themselves with an oath, that they will neither eat nor drink till they have killed him: and now are they ready, looking for a promise from thee” (Acts 23:21). That is SATANIC RAGE/WICKEDNESS! Do you know that there are people also planning against you like that in ANGER/RAGE this year? But I prophecy: Every satanic rage and madness targeted at your GLORY PARTY will catch fire and scatter in this fasting programme and AT THE WORLD ANOINTING STORY-TO-GLORY NIGHT, OF 12 PROPHETIC ARROWS! Ah! Their SATANIC VOWS WILL BECOME YOUR DIVINE VICTORY! Those planning with RAGE and ANGER against you will run mad by fire this year! Ah, the devil is wicked and you don’t need to do anything to become satan’s enemy. Your spiritual identify to Christ makes you one! Satan can stir up the heart of anybody against your glory and laughter whether in your family, neighbourhood, workplace, business, career and profession, etc. But their RAGE AND WICKEDNESS will consume them! Yes! Those planning to kill you or your loved ones this year shall be wasted! Oh You shall see the shameful end of your enemies in Jesus name. Always remember this : It’s not where you are from, it’s where you’re going. It’s not what you drive, it’s what drive’s you. It’s not what’s on you; It’s what’s in you! The greater ONE lives in you! March on with BOLDNESS and COURAGE to win. BEAT THE WORLD ANOINTING STORY-TO-GLORY NIGHT OF 12 PROHETIC ARROWS where every SATANIC RAGE will backfire because their RAGE will TURN TO THEIR RAGS (SHAME)! Pray now! Psalm 118:1; I thank you for Your magnificent works in this fast and concerning my life, family and ministry. Psalm 81:1; SING TO YOUR GOD, MAKE JOYFUL NOISE TO HIM IN PRAISE/WORSHIP NOW! Psalm 86:3; LORD, be merciful unto me and forgive my sins today in Jesus name. Jeremiah 33:3; LORD, as I call upon You now, show up and answer me by fire in Jesus name. Vs 3; LORD, show forth the wonders of Your supernatural power in all that concerns me this year in Jesus name. Vs 3; O LORD, show up in Your glory, majesty and splendour concerning my life, family and ministry in this 2019 in Jesus name. My Father! My Father!! My Father!!! Cause the rage of the wicked in my life, family and ministry to see corruption daily this year in Jesus name. I decree: Every evil satanic VOW or RAGE meant for my shame and tears, enough is enough; expire and backfire now by fire and thunder in Jesus name. LORD, GIVE MY HATERS BATTLES THAT WILL MAKE THEM TO FORGET ME THIS YEAR IN JESUS NAME! O GOD, send my enemies on a mission they will NEVER RETURN FROM THIS YEAR in Jesus name. Psalm 68:1; LORD, LET THE RAGE OF MY HATERS CONSUME THEM THIS YEAR IN JESUS NAME (mention the 12 months of this year)! Vs 1; I command the habitations of cruelty set against me in this fasting program, my testimony, promotion and progress in this 2019 to scatter by thunder now in Jesus name. Vs 1; O God, arise; let every satanic rage and madness targeted at my marriage, ministry, job and career this year HIT THE ROCKS and scatter in Jesus name. Vs 1; O God, arise; let every satanic rage and madness attacking my finances, breakthroughs, open doors and remembrance be disappointed now by fire. Vs. 1; O God, arise; let those planning to rob me of my favour, peace, joy and happiness this year, run mad and dry up in Jesus name. LORD, in this fasting program and at the WORLD ANOINTING STORY TO GLORY NIGHT, let every satanic rage and madness targeted at my GLORY PARTY in this 2019 catch FIRE and scatter in Jesus name. Psalm 74:20; You factories of satanic wickedness multiplying enemies around me, enough is enough; catch fire, catch fire, and catch fire now in Jesus name. Vs 20; You factories of satanic wickedness producing troubles, difficulties, sorrow and frustration into my life and ministry, collapse now and burn to ashes in Jesus name. Vs 20; You demonic territory of ANTI-GLORY POWERS monitoring my rising STAR in this year of GLORY, scatter, scatter, scatter and scatter now in Jesus name. Vs 20; O demonic territory of ANTI-GLORY POWERS planning my demotion, stagnation, rise and fall and from HERO to ZERO life, I am not your candidate; be roasted now by fire. Vs 22; Arise, O God, plead Thine own cause; let not my enemies ask me; “WHERE IS YOUR GOD”? this year in Jesus name. Vs 23; LORD, silence the raging voice of satanic wickedness daily this year by the Blood of Jesus and let every evil utterance backfire in Jesus name. 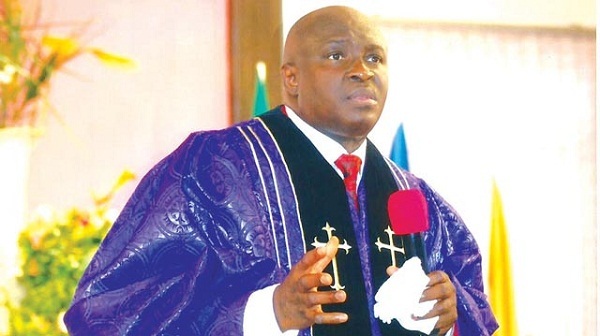 Acts 23:12; Every satanic ANGER and RAGE manufacturer, enough is enough; attack yourselves, eat your own flesh, drink your own blood and die now in Jesus name. Luke 10:19; You powers planning rage and anger against my helpers and partners, you shall not prosper; receive fire and thunder in Jesus name. Vs 19; Every satanic rage at my place of work meant to frustrate my career and make my labour to languish this year, scatter and backfire now in Jesus name. Vs 19; LORD, every satanic rage and wickedness operating in my business environment meant to make me lose favour before my associates and clients, catch fire now in Jesus name. Isaiah 54:17; I command the arrows of satanic rage, wickedness and anger sent to possess my heart and make it the habitation of cruelty to backfire now by fire. Vs 17; O God, every satanic rage through household wickedness targeted at my marriage and family life to cause disharmony, scatter and backfire in Jesus name. Romans 8:31; If God be for me, who can be against me? You SATANIC RAGE and anger manufacturers of sickness and disease, I am not your candidate; dry up now by fire and thunder. Vs 31; God is for me! Satanic rage and arrows of premature death, I am not your candidate; locate your now by thunder in Jesus name. O God, I shall celebrate the ultimate destruction and complete end of satanic rage and wickedness this year in Jesus name. LORD, scatter their plans, turn the counsel of those that want me to misfire my PROPHETIC ARROWS this year to nought in Jesus name. Baptize them with shame; disappoint their evil agenda concerning my STORY TO GLORY in this 2019 in Jesus name. Prov. 23:18 – In Your Own Words, Pray Seriously About Your Personal 2019 Prayer Points And Expectations Now! They Shall Not Be Cut Off in Jesus name. Amen (Bring them to TBS). Pray about the 12 months of this year as led now: ENOUGH IS ENOUGH! This is my year to move from STORY TO GLORY! My GLORY LAND must locate me in January, February, March…(Mention all the remaining months of 2019). As I sow my STORY TO GLORY SEED (SATANIC RAGE DISGRACE SEED) by faith, and pray the SPECIAL “GLORY-PROVOKING PROPHETICP PSALM” (GPPP), which I will pray for 5 weeks, every satanic anger or wicked rage against my destiny shall end up in SHAME in Jesus name. I decree that my HEAD and destiny shall be CROWNED WITH GLORY! Those that saw SHAME in me in the past, shall see GLORY in me this year! I shall be called, “HEPHZIBAH” because men shall see that I am the DELIGHT of the LORD (Isaiah 62:4)! Yea, I shall be called GLORY LAND and BEULAH LAND after the order of Isaiah 62:4, because men shall indeed see that the LORD is in me this year. Ah! I am moving from STORY TO GLORY this year because every SATANIC RAGE AND WICKEDNESS SHALL BACKFIRE! I am a SEED AND A DIVINE EGG that does not expire! Even when fallen/buried to the ground in setbacks, delays or battles, I shall come back stronger and bigger! This generation shall know that I am carrying LIMITLESS POTENTIALS AND TESTIMONIES Because I am a solution center! This is that year I shall manifest! Yes Lord! This is that year of DISGRACING EVERY SECRET OR OPEN SATANIC RATE in Jesus name! Amen and amen! Ecc 11:4- “He that observeth the wind shall not sow; and he that regardeth the clouds shall not reap”. I reject DISCOURAGEMENT in SEED SOWING! I refuse to allow battles or DELAYS of the past to stop my SOWING AGAIN this year! I shall sow my “STGS” – STORY TO GLORY SEED-SATANIC RAGE DISGRACE SEED in this fasting programme in Jesus name. As I sow my “STGS” – STORY TO GLORY SEED and receive my SPECIAL “GLORY – PROVOKING PROPHETIC PSALM” (GPPP), which I will pray for 5 weeks, the God of MERCY, who knows the number of hairs on my head, will move me from “STORY TELLING” to “GLORY SHOWCASING” this year in Jesus name. As I carry out the PROPHETIC ACTION of PRAYING WITH SAND which I will bring my place of residence, work place, ministry arena, village square, school ground, father’s house, mother’s house, business area, etc, AT THE WORLD ANOINTING NIGHT OF 12 PROPHETIC ARROWS, O EARTH, vomit and release my Glory this year by fire in Jesus name. O EARTH, vindicate me and swallow up every RAGE, ANGER, EVIL VOW OR WICKEDNESS of my HATERS! Swallow up haters of my destiny this year in Jesus name. HOLY GHOST, WORK THROUGH EACH PROPHETIC ARROW AND LET THEM DO A PERMANENT DAMAGE IN THE DOMAIN OF DARKNESS! 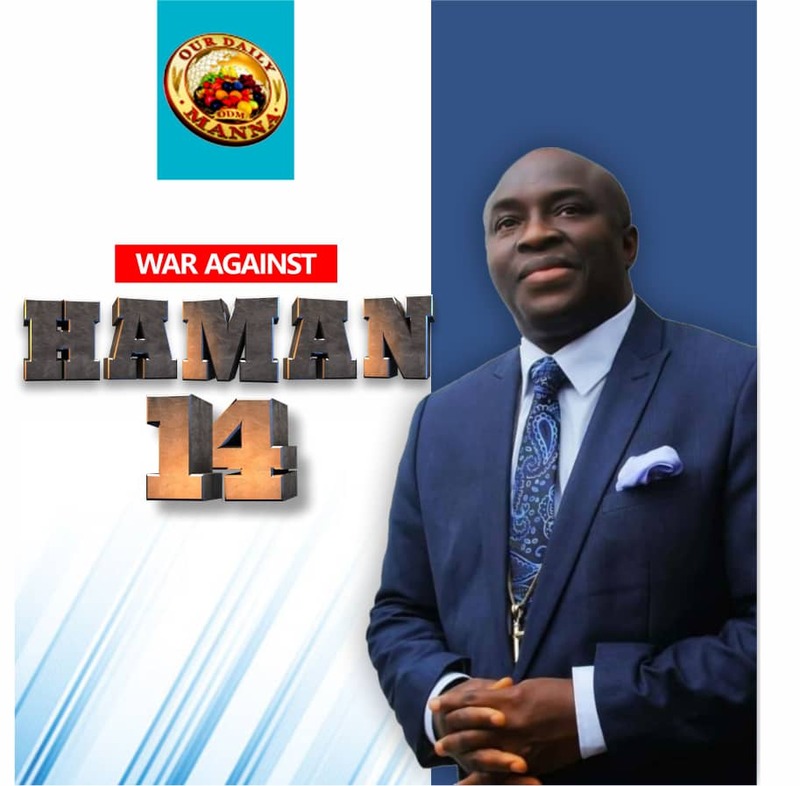 As I carry out the PROPHETIC ACTION of praying my 12 PRAYER POINTS AT THE WORLD ANOINTING STORY TO GLORY NIGHT, every SATANIC RAGE/WICKEDNESS WILL backfire and I shall be moved from STORY TO GLORY in Jesus name. Pray about the WORLD ANOINTING STORY TO GLORY NIGHT NOW! Pray for me, Dr. Chris and all ministers that will minister that night! Decree Journey mercies (TO and FRO) for all who will travel from across the globe to Lagos. Bind VISA DELAYS! Thank the LORD for answered prayers and for your STORY TO GLORY testimony this year and beyond in Jesus name. “2019 is my STORY TO GLORY Year and I see incredible and uncommon Glory in all facets of my life and endeavours! I shall not end up a STORY TELLER! I AM MOVING FROM STORY TELLING TO GLORY SHOWCASING! I shall not serve God without results to show this year! I decree that my HEAD and destiny shall be CROWNED WITH GLORY! Those that saw SHAME in me in the past, shall see GLORY in me this year! I shall be called, “HEPHZIBAH” because men shall see that I am the DELIGHT of the LORD (Isaiah 62:4)! Yea, I shall be called GLORY LAND and BEULAH LAND after the order of Isaiah 62:4, because men shall indeed see that the LORD is in me this year! And this generation shall know that I am a seed AND A DIVINE EGG that does not expire! Even when fallen/buried to the ground in setbacks, delays or battles, I shall come back stronger and bigger! They shall know that I am carrying LIMITLESS POTENTIALS AND TESTIMONIES Because I am a solution to my generation! This is that year I shall manifest! AS I PRAY WITH THE SAND I SHALL TAKE TO THE WORLD ANOINTING STORY TO GLORY NIGHT, THIS EARTH SHALL FAVOUR ME THIS YEAR AND THIS EARTH SHALL FIGHT AND CONTEND WITH MY HATERS this year! I REFUSE TO GIVE UP THIS FAST! MY PAIN SHALL NOT BE IN VAIN! I SEE GAIN AND I SEE THE HATCHING OF MY DIVINE EGG! Yes! My former name was STORY! My new name is GLORY and whatever is meant to produce GROANING and GLOOM is cursed by fire and thunder! I resist DISCOURAGEMENT! I shall sow my “SACRIFICIAL STORY-TO-GLORY-SEED” (STGS) in this fasting and I shall pray the PROPHETIC GLORY-PROVOKING PSALM which I shall receive! Yes LORD! And my life, family and ministry shall show that I serve a LIVING GOD even as I determine to be AT THE WORLD ANOINTING STORY TO GLORY NIGHT OF JANUARY 25TH, 2019 AT TBS, LAGOS in the name of Jesus Christ Nazareth! So help me God! Amen and amen!. 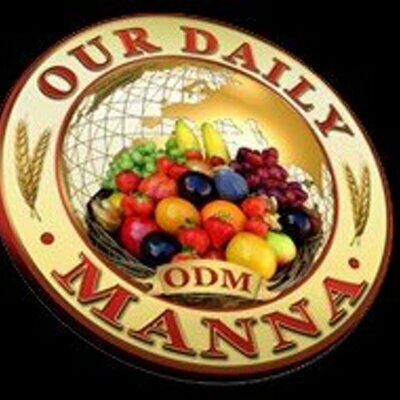 Next Post:Our Daily Manna Devotional 16 January 2019 – MY AXE HEAD MUST SWIM AGAIN BY FIRE! God blesses you and all ODM crew. Lord i come before ur throw this morning open my way for me & divinely connect me to great men/women who will take me to next level in life IJN. Lord bless me financial that i may sow my seed before the last day of is fast Amen.